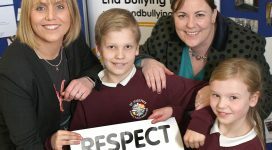 The Northern Ireland Anti-Bullying Forum is inviting schools and youth groups to share anti-bullying good practice – this could be through lesson plans, activities, games, parents/carers workshops or whole organisational approaches. NIABF will collate these examples of good practice so that others may benefit from the learning. If suitable, NIABF can promote credited examples of good practice to others in the education and youth sector through our resources in Anti-Bullying Week. Your work will be reviewed and you will be contacted before it would form part of the Anti-Bullying Week Resources which are available to registered schools in Anti-Bullying Week in Northern Ireland. How to share good practice?